You can download our complete menu by clicking on the graphic below, or, you can download individual menu pages by clicking on the graphics to the right. Page 1: We have the best food in town! Come join us for lunch or dinner! Page 2: Starters/Appetizers, Wings, Fresh Salads and Hot Soup. 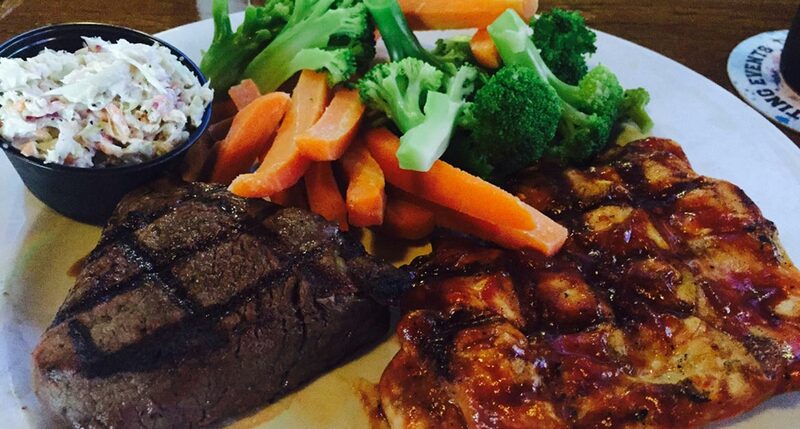 Page 3: Steaks, Prime Rib, Chicken & Seafood. Page 4: Combos, Baby Back Ribs, Side Dishes. Page 5: Burgers and Sandwiches. Page 6: Kids/Little Sluggers, Desserts, Beverages.